St. Joseph’s Health (SJH) employees recognize that the various communities we serve are part of our extended family. We take pride in being good neighbors. 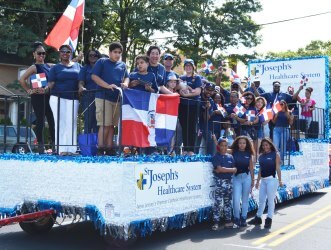 To meet the health needs of our community, St. Joseph’s has formed partnerships with community organizations such as schools, churches and government agencies to provide an extensive range of health care initiatives via community outreach programs. The hospital also provides various after-discharge services such as ambulatory care sites, clinic services, support groups and classes, case management services, hospices, homebound program and spiritual counseling. St. Joseph’s is continuously sponsoring, hosting and providing outreach programs at our medical facilities and in neighboring communities. 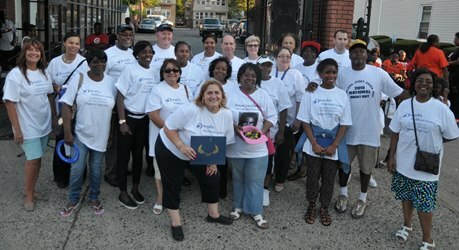 These events include Wayne Day, Health Partners Breast Cancer Awareness Walk, Paterson’s Dominican Day Parade, Girl Scouts of Northern New Jersey Over the Edge event, and the Rotary Gift of Life program. 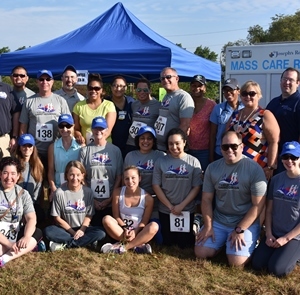 St. Joseph’s Health’s continued community support is evident in the 2015 – 2016 Make a Difference Project. In December, SJH President and CEO Kevin Slavin invited the Management Team, comprised of Executive Leadership and Directors, to make a positive difference in someone’s life. The overall project was extremely successful in expanding community connections. To learn more about our community connectedness, read the SJH Community Health Needs Assessment (CHNA) and yearly updates available via the links below.